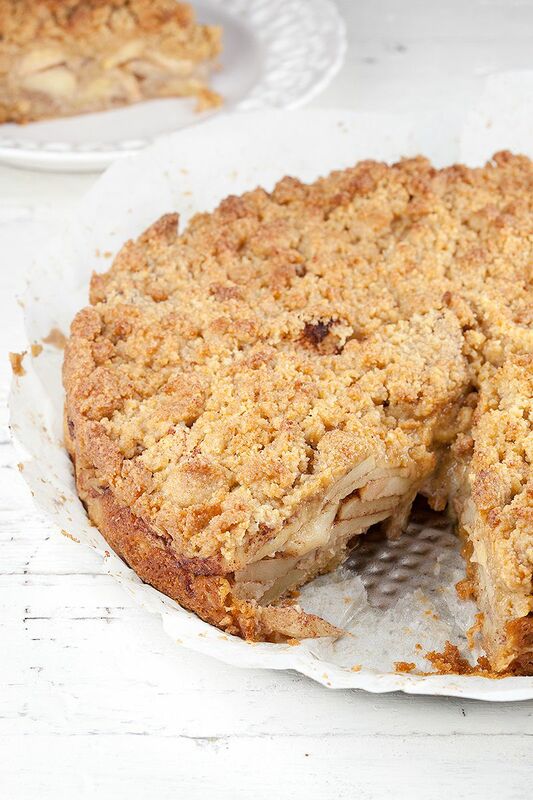 This apple crumble pie seems to be quite a healthy recipe, and you know why? It's dairy and refined sugar free! It's really tasteful, an absolute favorite! 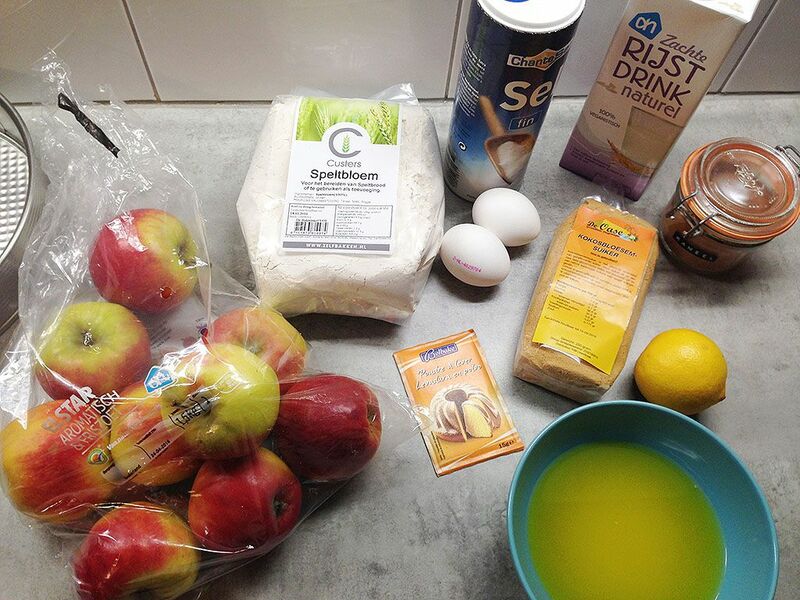 Big thanks to our good friend Mariëlle Janssen for this amazing recipe! Simply COMBINE all the ingredients for the cake batter. That will be clarified butter, coconut blossom sugar, salt, eggs, rice milk, spelt flour and baking powder. WHISK until you’ve reached a smooth batter and pour into the prepared spring form. PEEL the apples and get rid of the core. CHOP the apples into medium-sized pieces and mix with the ground cinnamon. ADD the apples to the spring form, don’t press them into the batter, just place them gently on top. All there’s left to do, is creating a crumb topping. USE your hands to combine the ingredients until the dough looks crumbly. 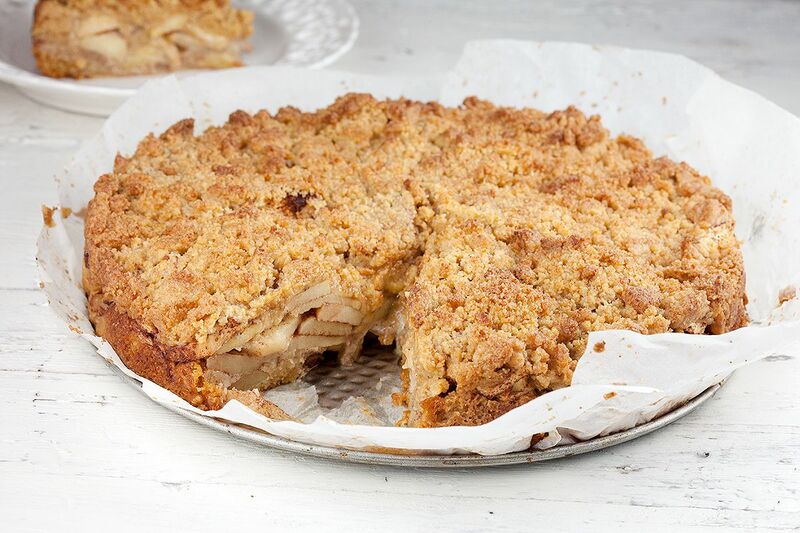 DIVIDE the crumbs over the apple filling and bake in the preheated oven for about 40-45 minutes. If the top looks too dark already, but the pie isn’t ready yet, you can cover it with tin foil to prevent it from burning. 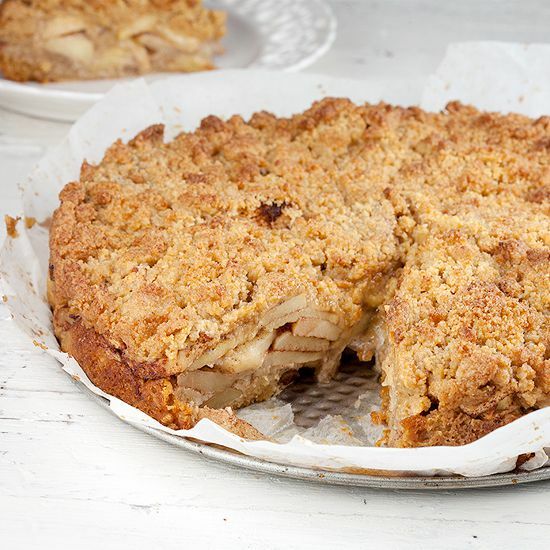 Enjoy this lovely apple pie!